The WILDPEAK A T3W is engineered for adventure, any time and in any weather. The A T3W combines aggressive off-road ability and rugged terrain driving without compromise on the pavement. An optimized tread design combined with a silica tread compound enable the A T3W to excel in three areas: wear, winter, and wet performance. Designed for severe snow conditions, every A T3W tire is qualified by the Rubber Manufacturers Association for the Three Peak Mountain Snow Flake (3PMSF) symbol. With the Destination A T Special Edition tire, blending in is standing out. 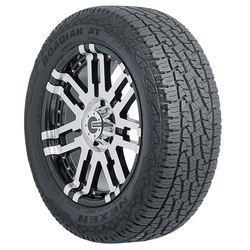 Featuring a unique and distinctive carbon black camo sidewall design, these tires are sure to turn heads. 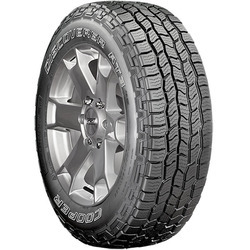 The Destination A T Special Edition tire offers the same on-road handling and off-road toughness as the dependable, all-season Destination A T tire. An aggressive off-shoulder block design adds traction in deep mud and snow, and five-degree noise reduction technology helps minimize road noise. This all-terrain tire is engineered for trucks and SUVs. The Hercules Terra Trac AT II – Tenacious Times Two. 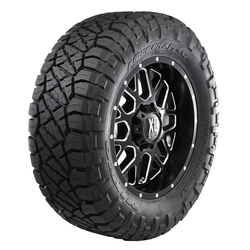 When the terrain demands a tire that can outperform and over deliver, Terra Trac AT II is ready for the challenge. 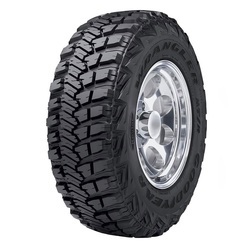 This premium, all-terrain tire is a versatile performer that takes all terrain to a new terrain, delivering a quieter ride and complete control. And with a sophisticated tread design that can tackle even the harshest elements, Terra Trac AT II is the practical choice for everyday driving, in every condition, on every surface. 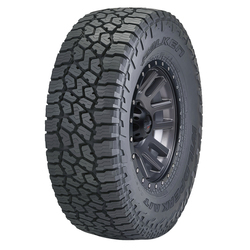 The Discoverer AT34S is Cooper's On- Off-Road All-Terrain tire designed for the drivers of pickup trucks, crossovers and full-size SUVs looking for a tire that blends the off-road grip they need with the on-road comfort they demand. 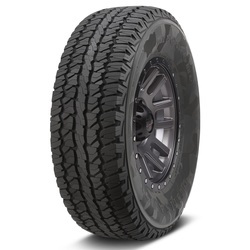 Engineered to deliver traction on any surface it may encounter, the Discoverer AT34S combines on-road manners with off-road capability and provides confident light snow traction that meets the tire industry's severe snow service rating requirements and earns the three-peak mountain snowflake (3PMSF) symbol. The RUBITREK A T is ready for adventure, any time and in any weather. 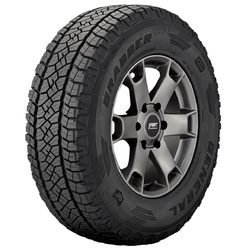 The new Falken RUBITREK A T provides a balance of aggressive off-road ability and rugged terrain driving along with an exceptional ride on the pavement. The optimized tread design combined with a silica tread compound provide long lasting wear along with performance in rain and snow. 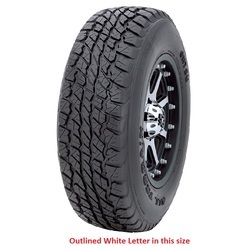 Designed for severe snow conditions, every tire is qualified by the Rubber Manufacturers Association for the Three Peak Mountain Snow Flake (3PMSF) symbol. 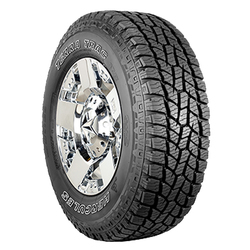 On- Off-Road All-Terrain light truck tires are for drivers who want a combination of customary on-road capacity, enhanced off-road capabilities and all-season versatility, including traction in light snow. 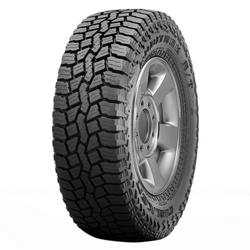 On- Off-Road All-Terrain light truck tires branded with the M+S symbol are sometimes used as Original Equipment (O.E.) on light and medium-duty 4WD truck, pickup and sport utility vehicles. O.E. 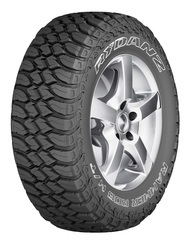 On- Off-Road All-Terrain light truck tires are typically purchased as direct replacements for worn-out pairs sets of the vehicle's original tires. They can also be used for other vehicle applications in complete sets of four or axle pairs if available in an appropriate size, load range and speed rating to match the existing O.E. 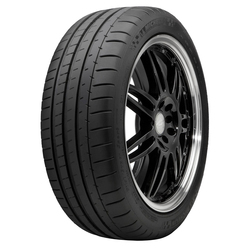 tires' performance category and specifications.